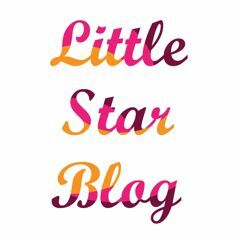 Good morning everyone, it’s Monday morning and just as promised, littlestarblog is back with this week’s first post. As my patient and long-suffering husband will be only too happy to tell you, I am a huge fan of contemporary design chairs and am forever adding this and that to my little collection, using Ebay, local antique stores and flee markets as my hunting ground. The last gem I found was an original Harry Bertoia Diamond Chair, which had been kept outside as a piece of garden furniture… can you imagine ? Ignorance really is a crime ! Well, today I want to introduce you to eight great design seating choices, especially made with children in mind. Some of them are quite affordable, while others are true luxury items but all of them are fun, colorful, durable and would look great in any playroom. If possible, I would always buy an original piece and look at it as an investment but there are so many other more affordable options out there, like replica stores, vintage furniture and antique stores, flee markets, Ebay… all it takes is a little persistence and a good eye. Happy hunting !